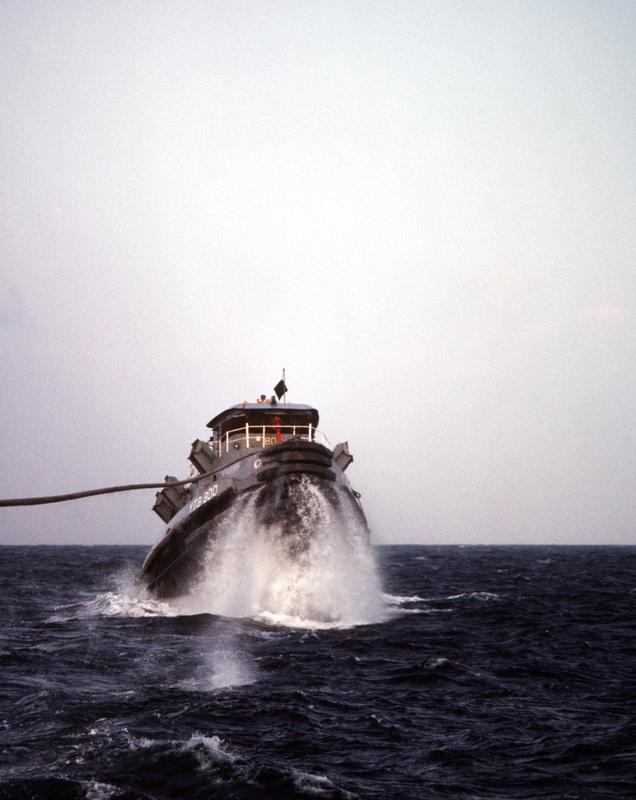 Laid down, 5 August 1968 by the Southern Shipbuilding Corp., Slidell, LA. 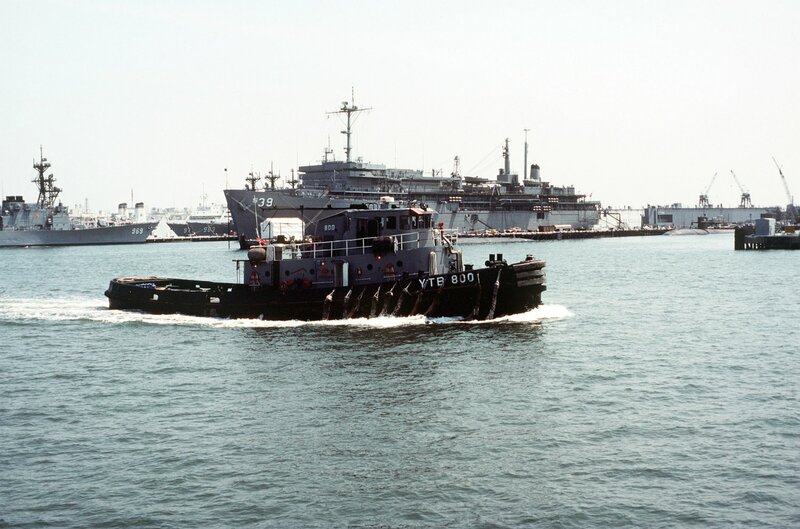 Delivered, 3 July 1969, and placed in service as Eufaula (YTB-800) in the 5th Naval District at Norfolk, VA.
287k Eufaula (YTB-800) underway at Naval Station Norfolk. 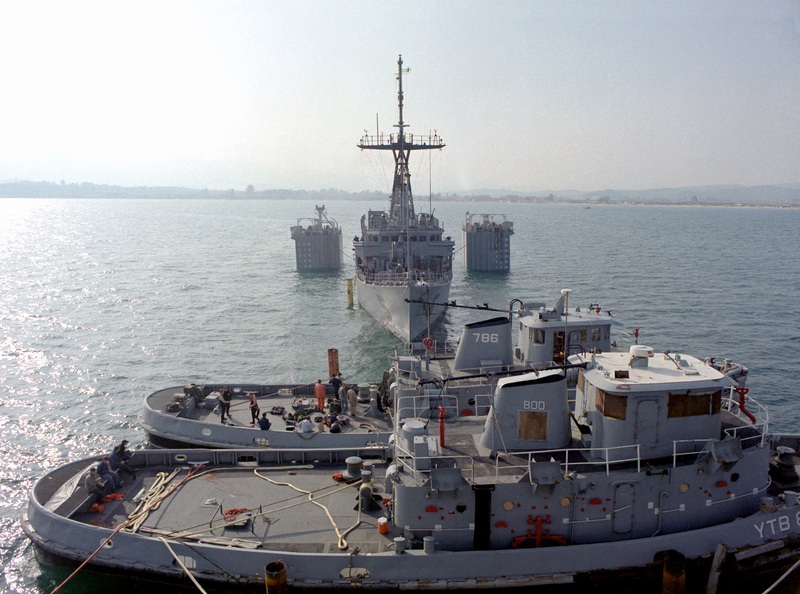 The submarine tender USS Emory S. Land (AS-39) and the Spruance-class destroyer USS Peterson (DD-969) are moored in the background, 22 June 1985. 1832k Eufaula (YTB-800) is moved into position over the submerged deck of the Dutch heavy lift ship Mighty Servant I at Algeciras, Spain. 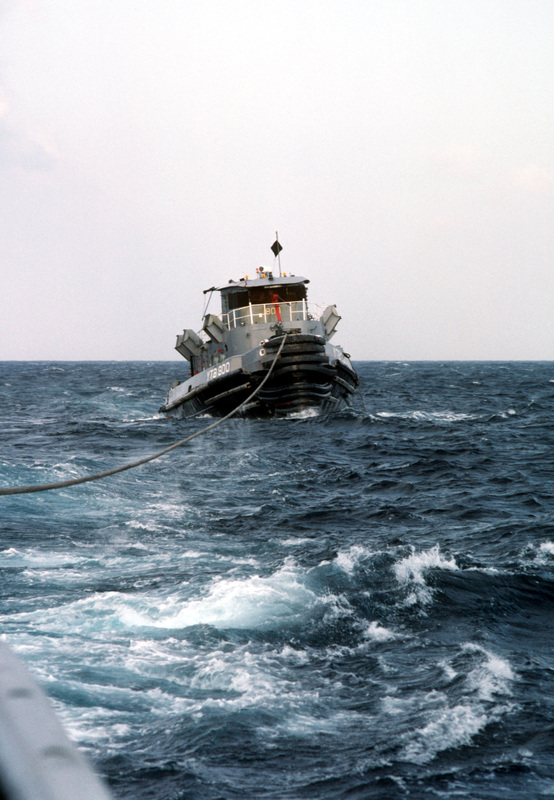 Eufaula, two other tugs and a mine countermeasures ship are being loaded aboard the Mighty Servant I for transport back to the United States. 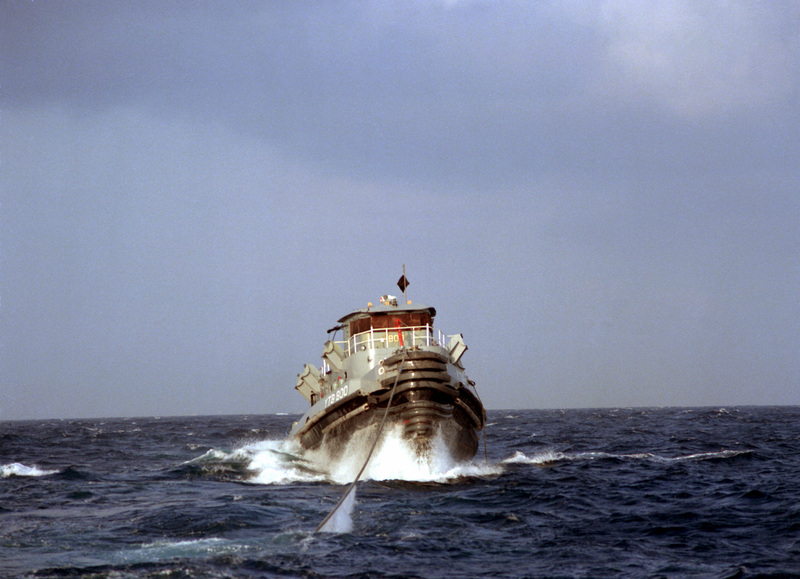 1616k Eufaula (YTB-800) is being positioned over the submerged deck of the Dutch heavy lift ship Mighty Servant I, at Algeciras, Spain, 1 April 1992, by another tug. 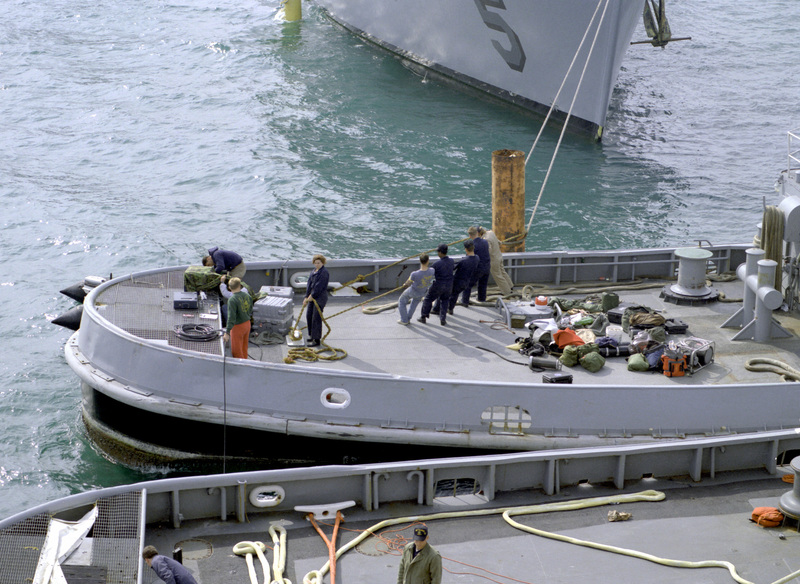 Three large harbor tugs and a mine countermeasures ship are being loaded aboard the Might Servant I for transport back to the United States. 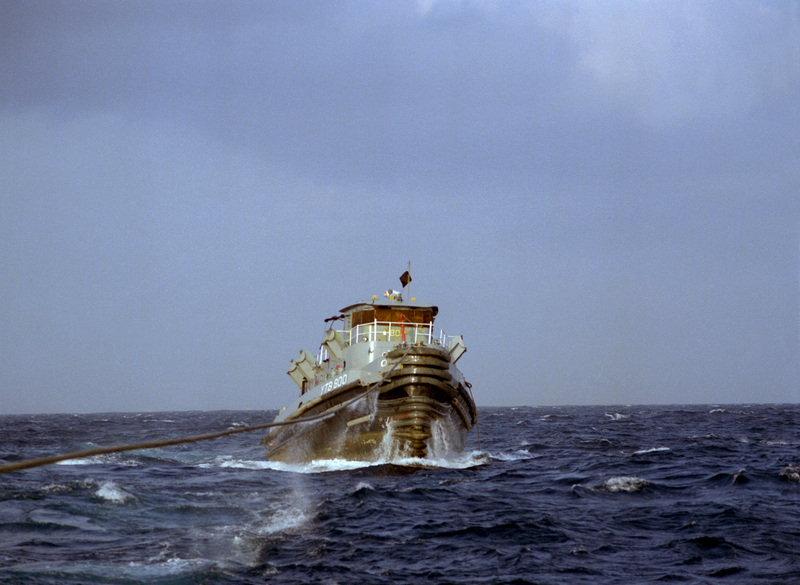 1903k Eufaula (YTB-800) foreground, and Tonkawa (YTB-786) are being, positioned over the submerged deck of the Dutch heavy lift ship Mighty Servant I, at Algeciras, Spain, 1 April 1992. 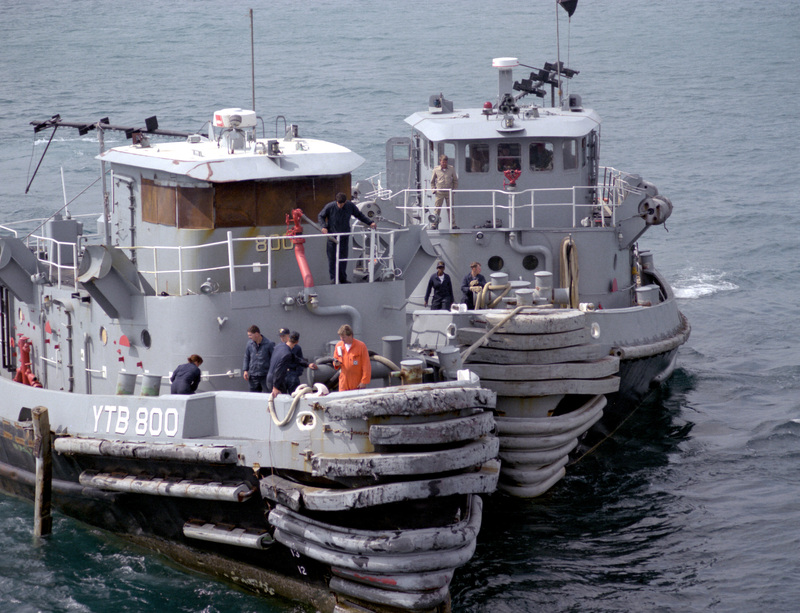 Three large harbor tugs and a mine countermeasures ship are being loaded aboard the Might Servant Ifor transport back to the United States. 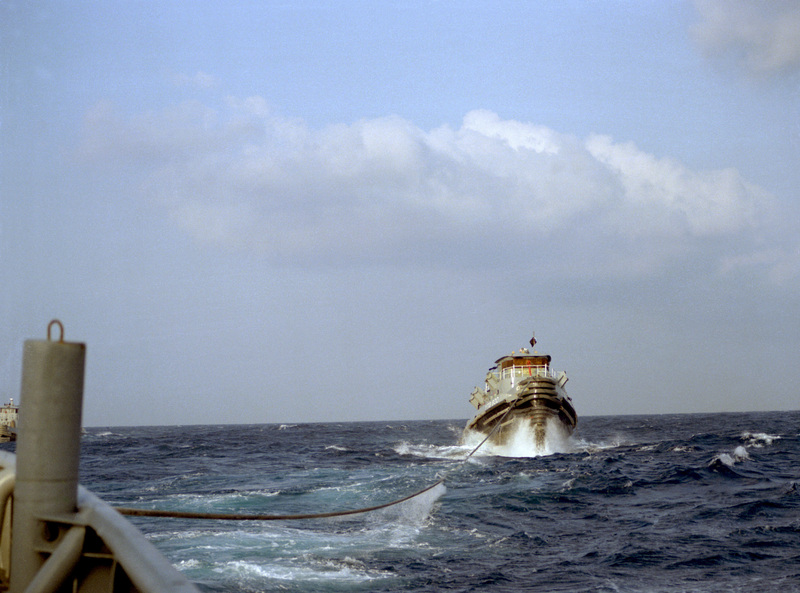 1796k After being positioned over the submerged deck of the Dutch heavy lift ship Mighty Servant I at Algeciras, Spain, 1 April 1992, Eufaula (YTB-800) and Tonkawa (YTB-786), and the mine countermeasures ship USS Guardian (MCM-5) wait to be raised out of the water. 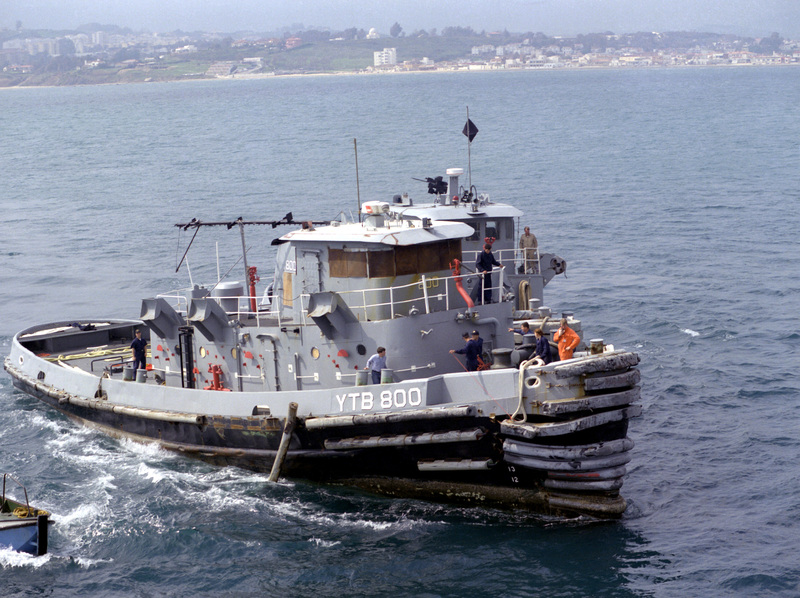 The Mighty Servant I will transport the tugs and the Guardian back to the United States.